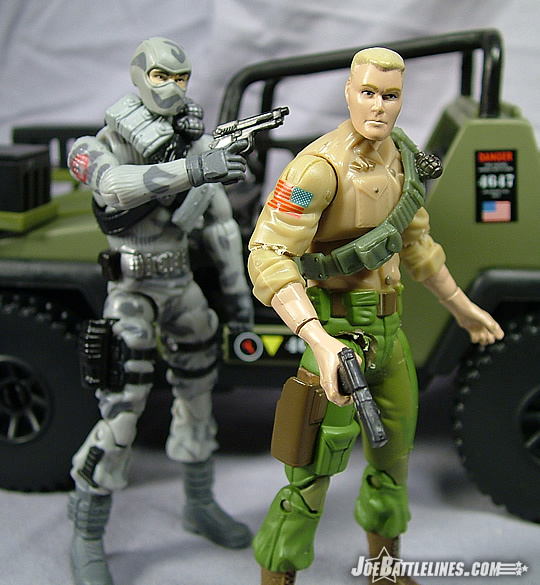 If someone had asked me when I was younger who my favorite Cobra characters were, Firefly would have been near the top of that list. As an adult, if I was asked which classic character has been released to the point of “complete and utter overkill”, my answer would also be Firefly. 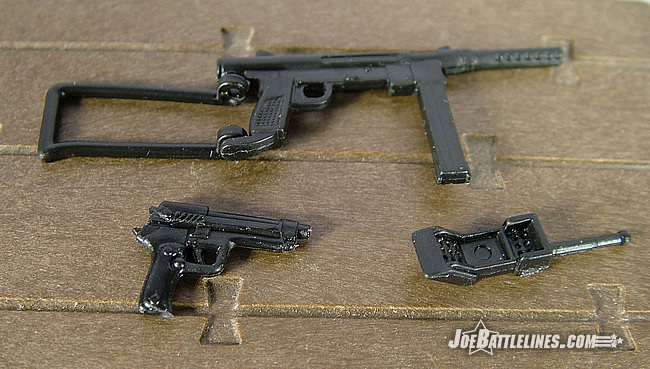 Since 2000, the classic Firefly mold has been used seven times (eight if you count the comic pack with the new head) in various multi-packs and convention sets. Firefly went from this singularly interesting assassin/saboteur clad in gray (I’m trying to forget the neon version) to a masked menace who’s had more costume changes than Diabolik! It’s an example of the old adage of “too much of a good thing” and the result is that I’ve found myself rather lackadaisical about anything Firefly-related in the past few years. With the 25A line hitting its third wave, it was only a matter of time before the man who killed the Hard Master would be reproduced in plastic form yet again. However, this time the figure is back in a (mostly) new form and the results are a bit surprising. If you’ve been reading my reviews of this line, then you’re familiar with Hasbro’s policy of reusing existing molds to create additional characters. 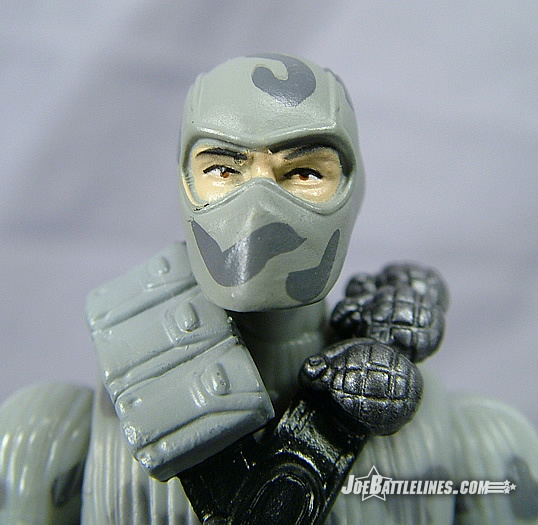 Firefly is an example of this practice put to good use as this figure, from the neck down, is entirely the wave 2 release of Beach Head. (There is one small exception to that statement which I’ll cover later.) As such, most of the comments I made about Beach Head’s body design still apply here. 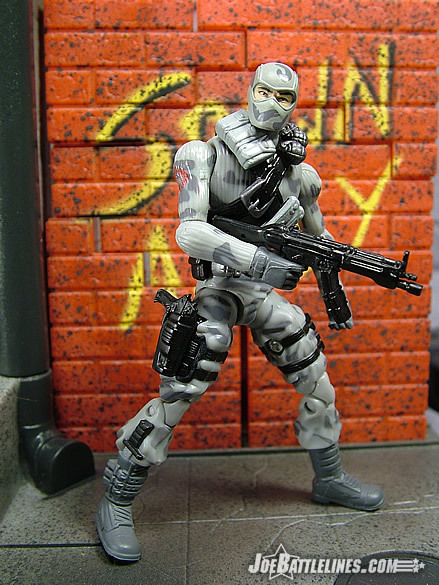 Unlike the source of his “parent mold” Firefly is molded in a light gray with dark gray camouflage painted over the majority of his body. 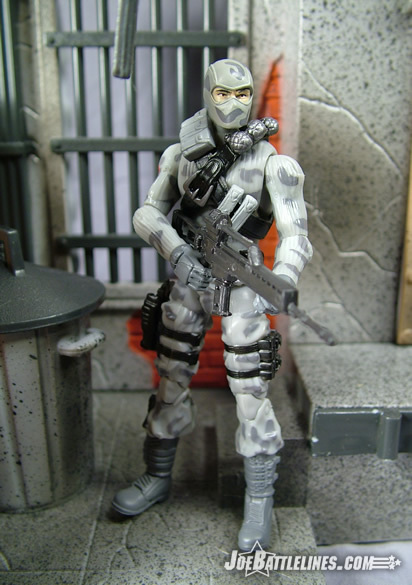 His boots, belt, and gloves are all painted a similar gray to the camo pattern while his right leg holster and molded detonators (left leg) are painted black. 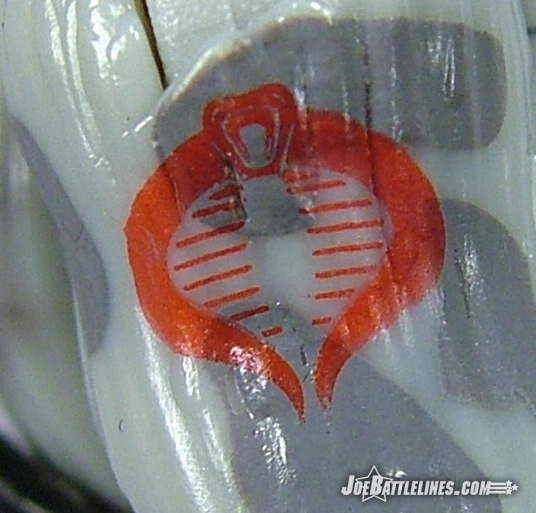 There is a red Cobra sigil on his right arm and the handle of the molded knife in his right boot is also painted black. This body worked well enough for Beach Head and it almost works well for Firefly—except that the lighter colors used tend to make the Cobra saboteur almost appear a bit “skinny” for lack of a better term. 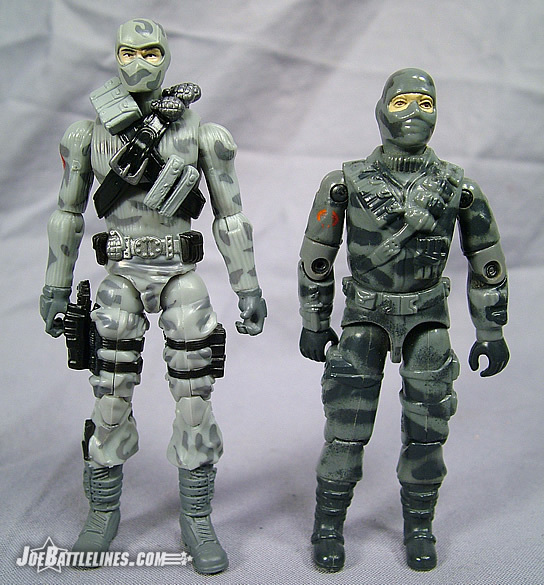 Perhaps it was the combination of the dark green upper torso with the addition of the black vest but Specialist Sneeden had a bulk aspect whereas Firefly seems a bit lankier in nature. This could also be due to the harness that has been added to the figure to provide extra detail. 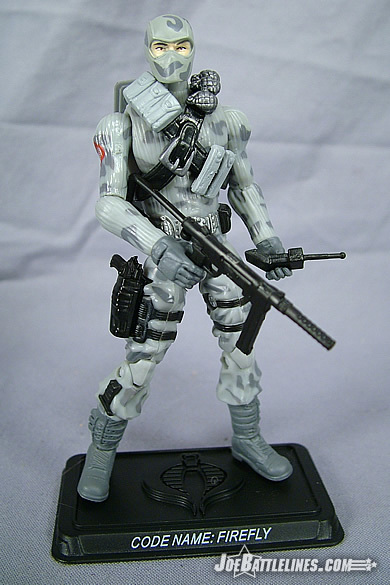 In attempted to emulate the original figure’s design, Hasbro added a criss-cross web harness to Firefly’s torso. Molded black, the harness features a large silver buckle in the front of the chest as well as a series of gray pouches and silver grenades that help to turn a rather plain torso into Firefly’s signature look. 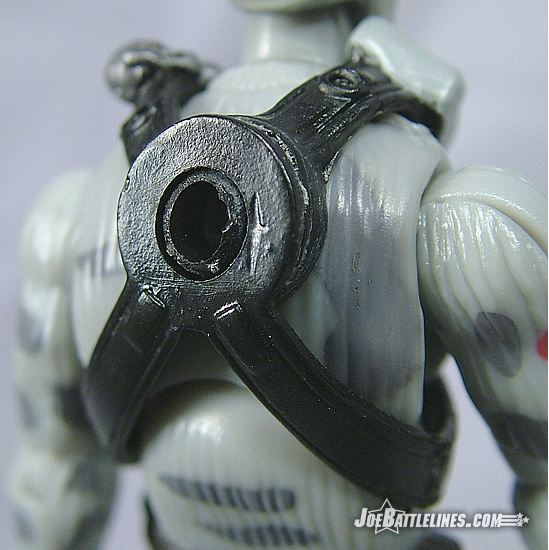 The harness has a hole in the back where it crosses to allow for the figure’s backpack to fit into the small socket in his back. This piece of additional gear should help complete the transformation from Beach Head to Firefly flawlessly except that it tends to ride a bit high on the figure’s torso. 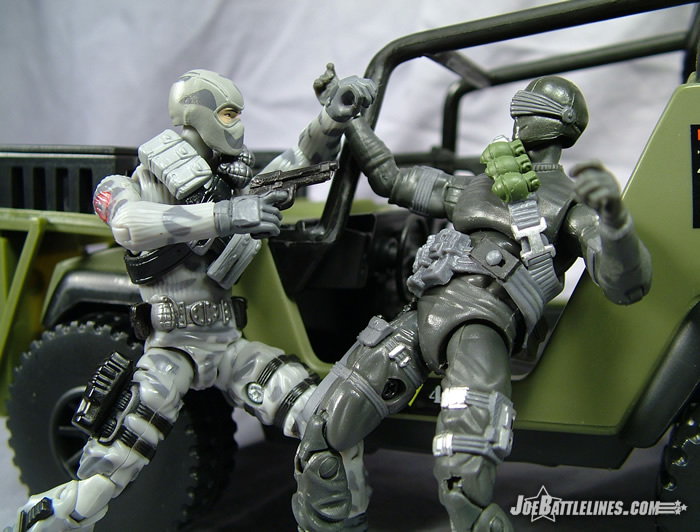 The result is that the attached pouches and grenades are sitting atop the figure’s shoulders and actually end up hitting his jaw on either side. Firefly can turn his head to either side and can rest his noggin on the attached gear—which makes his shoulders just look a bit “busy”. This concentration of detail around the neck also makes the torso look longer than it actually is—helping to convey the impression that this figure is a bit lanky in proportion. I realize that Firefly’s head is a bit larger than Beach Head’s and that it sits differently on the body’s neck post but the combination of a slightly larger head and the high-riding web gear diminishes the overall effectiveness of this design somewhat. Firefly’s head sculpt is about as classic Firefly as it could be. Of course, there’s only so much that can be done with a face covered by a balaclava, right? The characters eyes are wide set and his jaw line is extremely square. Dark eye brows are visible about the cold eyes and the skin tone is a pale flesh—far more convincing than the “undead pallor” of the Battle Pack Gung-Ho. The head gear is completed with two seams starting along the temples and rising over the top of the cranium. 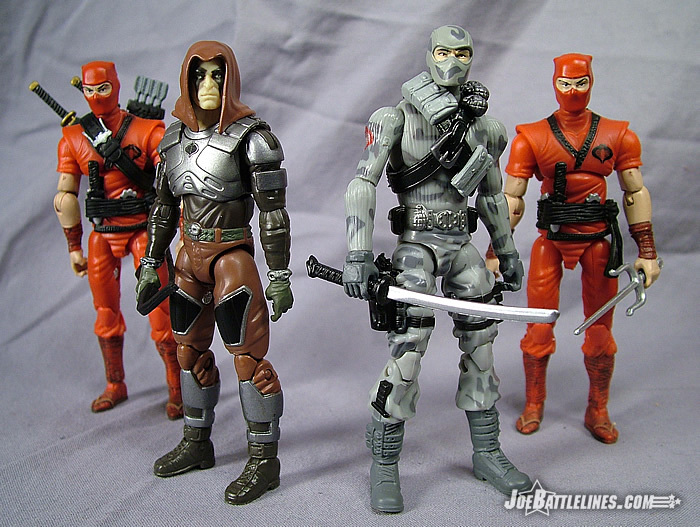 This head reminds me a great deal of how Storm Shadow was drawn in the early days of the Devil’s Due volume 2 of “GIJoe: A Real American Hero” and I could possibly see it being reused as a DDP Storm Shadow figure down the road. The design works quite well as Firefly and I’ve got zero complaints with the sculpting. 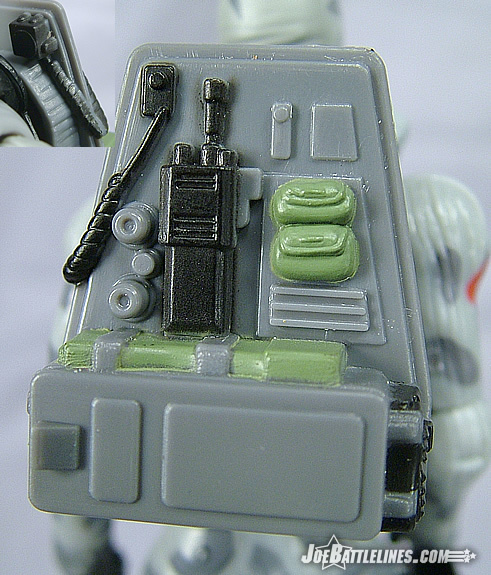 Firefly’s kit includes his original satellite phone (not cellular), a machine gun with folding stock, sidearm pistol (the small that was included with Beach Head), and a fantastically detailed backpack. The inclusion of the phone is a nice homage to the original and the sidearm works well enough to be practical. The stock on the machine gun I’ve found to be a bit “soft” which means that it will pop out of the posts that hold it to the main body. If this proves to be too much of a problem I’ll either remove the stock entirely or give Firefly a Marauder Gun-Runner’s G36 or UMP assault rifle. (I’m leaning toward the second.) The real star of his gear is the backpack which is a fantastic update to the original pack. 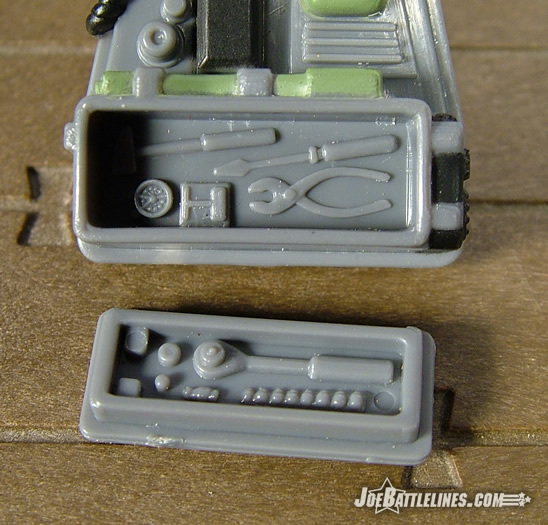 The outside of the back features a molded radio with a wrap-around mike that fastens on the opposite side, as well as a few small pouches and what appears to be a mechanic’s mat folded across the top of the box. Pop open the lid of the box, however, and you’ll find a faithful reproduction of the original Firefly’s tool kit, right down to the pliers and socket set. This is my favorite detail about this figure and one that really shows just how respectful the design team is of the source figures in terms of capturing those little details that held our imagination as young Joe fans. (I’m not entirely positive but I almost wonder if this was the back pack that was originally intended to come with the gray Robot Rebellion Firefly that surfaced on Ebay a number of years ago. I don’t actually have one “in hand” so I’ll just leave this as speculation.) 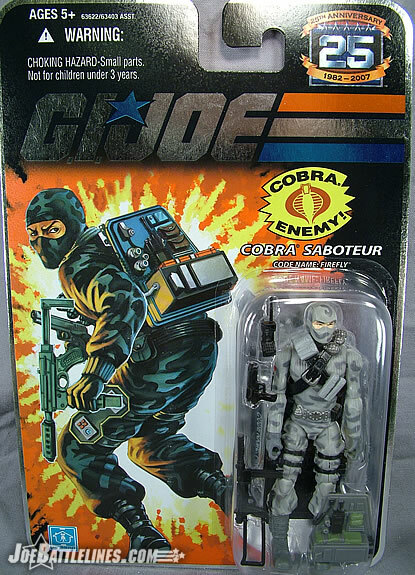 Overall, the head and kit work well to help transform this figure into the Cobra Saboteur that wreaked havoc on the Joe team for over two decades. I mentioned earlier that this figure is “almost entirely” Beach Head and that means that Firefly share all of the same articulation as Beach Head. 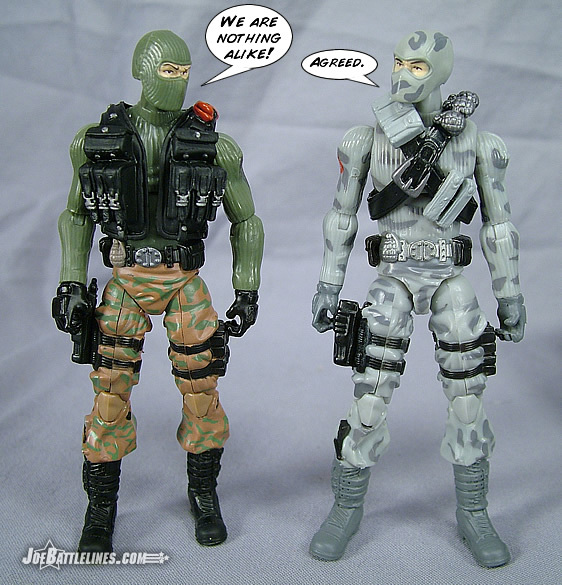 It would seem, however, that there has been a running change in the mold used to make the lower chest and waist as Firefly’s crotch has been shaved down in comparison to the one found on Beach Head. (Get your minds out of the gutter!) 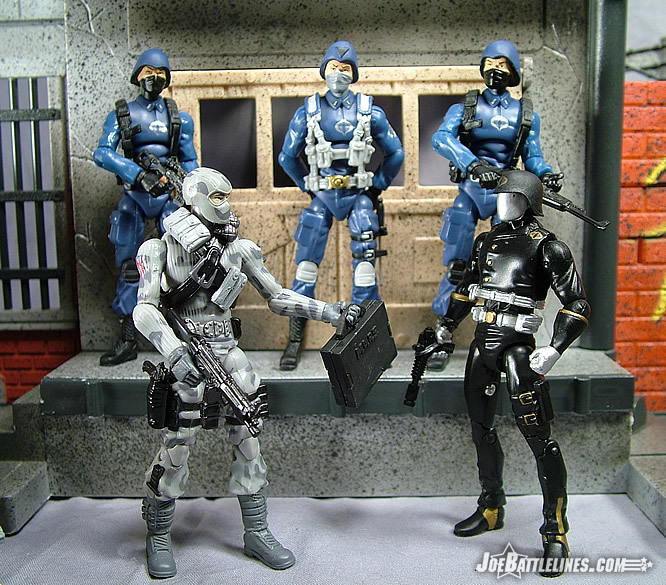 In addition, ggpike of JBL posted pics of a retooled Beach Head figure that he found recently at retail. It would seem that changes have indeed been made to the mold and that all of the figures that share this mold are starting to see improved articulation as a result. Firefly, unlike Beach Head, can actually sit—although having a wider “spread” of the legs than his original ARAH counterpart. However, this new construction style seems to be on a learning curve for Hasbro and it would seem that they are working to correct so many of the issues addressed by fans both on the web and at the convention. I can only wonder what 2008 will hold in terms of improvements as Hasbro continues to refine their product more and more. I used to be a big fan of Firefly up until it seemed that every fifth figure released was another repaint of the classic mold. As such, I approached this figure with trepidation as I found myself to be a big fan of the new Beach Head figure. This Firefly had done a lot to help redeem the character in my eyes. He’s not perfect—as I’m still having a hard time getting over the “lanky” impression that I’m left with—but he’s a fantastic update to the classic design. This figure captures all of the signature elements that made Firefly Firefly which making a few subtle changes to the mold. Let’s be honest—this figure is going to be popular with fans regardless of what any reviewer says simply because of the enduring popularity of the character. However, I can actually state I do like this figure quite a lot and he’s one of the pieces in this line that I’ve found myself going back to again and again as there is just something very appealing about his character design. Firefly is a figure that most collectors of the 25A line are going to want to snag. To those Joe fans out there who aren’t picking up these new figures, I’d actually say that he might be one of those figures you might want to “give a try” but no full well that he’s not quite built the same as the figures you’ve collected for years.